Public history refers to the pursuit of historical understanding and interpretation in the public realm. 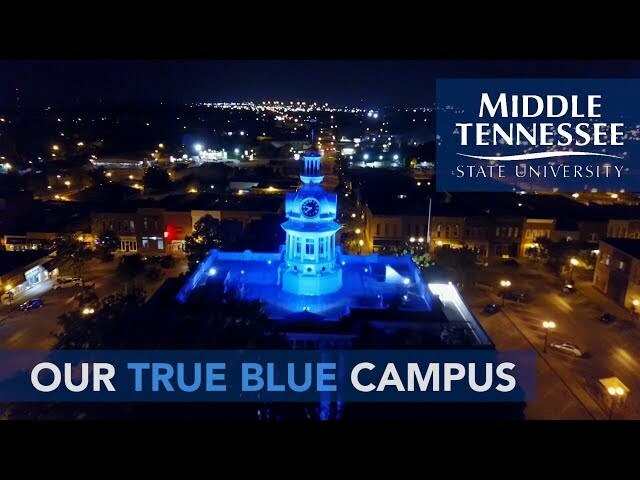 MTSU was in the first wave of American universities to embrace the study of public history and now offers a master’s degree, doctorate, and advanced certificates. Students pursuing the Master of Arts in History with a concentration in Public History may choose from five tracks: historic preservation and cultural resource management, museum management, archival management, oral history, and public archaeology. Master’s candidates are exposed to the myriad career possibilities associated with each specialty, helping them select the curriculum best suited to their interests and aspirations. The program carefully balances academic historical methods and scholarship; the intellectual foundations and nature of public history; and professional development in several areas. To prepare students for professional practice, the program partners with a number of on-campus centers and initiatives, including the Center for Historic Preservation, Albert Gore Research Center, Center for Popular Music, and Walker Library digital collections. Public History M.A. student Lane Tillner helped the new John Early Museum open at John Early Museum Magnet Middle Prep in Nashville in October 2015. This marks the first museum school in the nation to also have its own museum. A collection of nearly 5,000 cultural objects was transferred from the former Hartzler Towner Multicultural Museum at the Scarritt Bennett Center in Nashville. As a summer intern in 2014, Tillner worked under instructional designer Becky Verner (M.A., 2006) to organize accession records and the collection. Tillner returned as a volunteer collections consultant after construction on the museum addition was completed in July 2015. She helped move the collection into its new storage space and re-house the objects, plus developed and installed the opening exhibit, “Worldly Missions: Cultural Connections Across the Globe.” Tillner continues to assist with the collection, which allows students to actively engage with objects, exhibitions, and museum principles only a few feet from their classroom. Each year during the three-week May term, the Public History program offers graduate students a change-of-pace opportunity to study with a visiting scholar-practitioner or engage in a fieldwork project that hones their professional skills in multiple ways. Visiting scholar-practitioners have included Carol Kammen (pictured), author of On Doing Local History; Dwight Pitcaithley, former chief historian of the National Park Service; Trudy Peterson, former (acting) archivist of the United States; Spencer Crew, former director of the National Museum of American History and of the National Underground Railroad Freedom Center; and David Thelen, professor emeritus, Indiana University, and co-author of Presence of the Past, one of the most influential books in public history. Fieldwork projects have taken students to Fort Vancouver National Historic Site (Washington state) and Jekyll Island, Ga., as well as nearby Stones River National Battlefield. For more information, click here. Historical Association of Catawba County, N.C. The History Department offers the Master of Arts (M.A.) in History with a concentration in Public History and a Doctor of Philosophy (Ph.D.) in Public History, as well as a traditional Master of Arts (M.A.) in History. The Public History master’s concentration offers specialized education in one of five tracks: historic preservation and cultural resources management, museum management, archival management, oral history, and public archaeology. More information on the five tracks can be found under the TRACKS tab. Master’s applicants must have an acceptable grade point average in all college work; 18 semester hours of undergraduate history courses; and acceptable scores on the Graduate Record Exam. The History Department offers the Master of Arts in History, Master of Arts in History with a concentration in Public History, and a Ph.D. in Public History. The Public History concentration offers specialized education in one of five tracks: historic preservation and cultural resource management, museum management, archival management, oral history, and public archeology. Modifications to the above requirements may be made with the permission of the department's director of graduate studies and the department's graduate admissions committee. Application deadline for the M.A. program is March 1. The History Department does not consider graduate students for spring or summer admission. submit three letters of recommendation from professors or professionals that address the applicant's potential to successfully complete an M.A. program in public history. M.A. students in History with a concentration in Public History choose between a thesis and a non-thesis option. All public history students must complete an internship off campus. complete comprehensive examinations in the field of public history and a second field of history. An introduction to history's major schools of thought. Through reading, class discussion, and essays, students explore critical interpretations in American, European, and non-Western history. Introduces historical research using primary sources. Students produce a work (or works) of original historical scholarship and engage with existing scholarship in the field. Examines history, theory, and methodologies of museums. Explores the roles of history museums in diverse communities and career options in museums, including administration, exhibit development, education, and collections. Regulatory policies and procedures employed by federal, state, and local agencies in the work of identifying, evaluating, recording, preserving, and managing the historical, architectural, and cultural resources of the United States. Emphasis on implementing the National Historic Preservation Act and the documentation requirements of the National Register of Historic Places. Examines major concepts, vocabulary, standards, professional ethics, and current issues in archival management. Includes readings, class discussions, and in-class exercises supplemented by guest lectures, field trips, and a field project. Explores the disciplinary history, professional ethics, key concepts and debates, and best practices of public archaeology in the U.S. with emphasis on historical archaeology's contributions to American historiography, its relationship to cultural resource management and heritage legislation, and current issues in shared authority with diverse public audiences. Full-time apprenticeship (300 hours) with a public or private historical agency or institution of regional or national significance. Internships offered during the summer months and may be paid. Enrollment limited to history students in the public history program. Pass/Fail. No more than three hours of HIST 6910, HIST 6920, HIST 6930, or HIST 6994 may be counted toward degree requirements. No more than three hours of HIST 6910, HIST 6920, HIST 6930, or HIST 6994 may be counted toward the degree. file a Notice of Intent to Graduate form in the College of Graduate Studies within the first two weeks of the term in which student intends to graduate.